We're an affordable painting company providing residential painting services to Tucson and its surrounding areas. No exterior house painting services job is too big or too small for us to undertake. And our experts will restore your home’s exterior surfaces to their original condition before painting to ensure a long-lasting paint job. We believe in offering interior painting services that deliver the quickest, most beautiful, and least disruptive transformation possible. As a highly-respected interior company, we continue to uphold that philosophy every day and on every project. We've painted over 1,200+ homes. "Wildcat is reliable and does excellent work. They review the project in detail, provides recommendations without any pressure, makes sure there's mutual understanding of schedule, and will talk to the homeowner during the project to go over final details. After the project they will walk with you to do an inspection. First class service and quality!" - David S.
"Wildcat Painting gave us the best price of 3 bids. They performed the job on the schedule we agreed on and the job was completed to our satisfaction. Clean up and touch up after the job was thorough, paying close attention to small details. We are very pleased with the job Alex and his team performed and we will use them again on future house painting jobs." 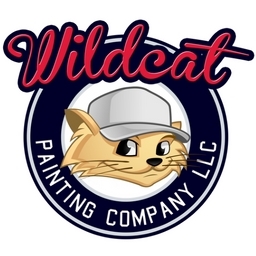 - Bart M.
"We were very satisfied with Wildcat Painting. The process was easy and the painters did everything that we expected. They were very efficient and paid attention to details and were very neat. The painting crew was professional and worked hard. Our house looks great and we are very happy that we contracted with Wildcat Painting to paint our home." - Renee R.
No job is too big or too small for us to undertake.